Hi! My name is Alexander and I'm 14 years old. 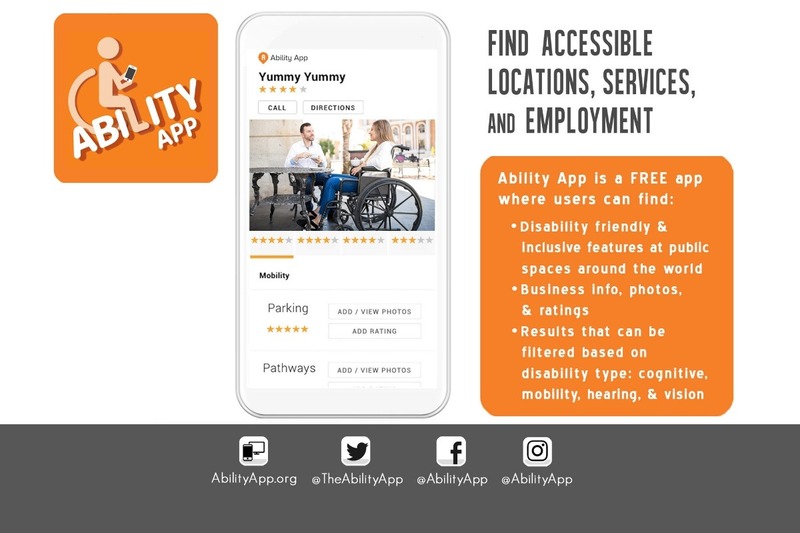 I love helping people and I'm excited to tell you about the app that my team and I are developing, called Ability App, that will help people with disabilities navigate public spaces, and find safe, reliable services and employment. I would like to thank all of you who have donated to help me start developing Ability App. The app is almost 90% complete. I'm looking for additional financial support to finish the development of the Ability App website, Android and iOS apps, along with engineering and maintenance fees for updates to Ability App on all three platforms. As you can imagine, and as I have come to find out, developing an app of this caliber can be very expensive. Several incredible people have volunteered to help along the way, but I still require funding for development/hosting/engineering/maintenance costs that are not covered by volunteer support. Your support will enable me to continue to develop and operate Ability App after its initial launch. 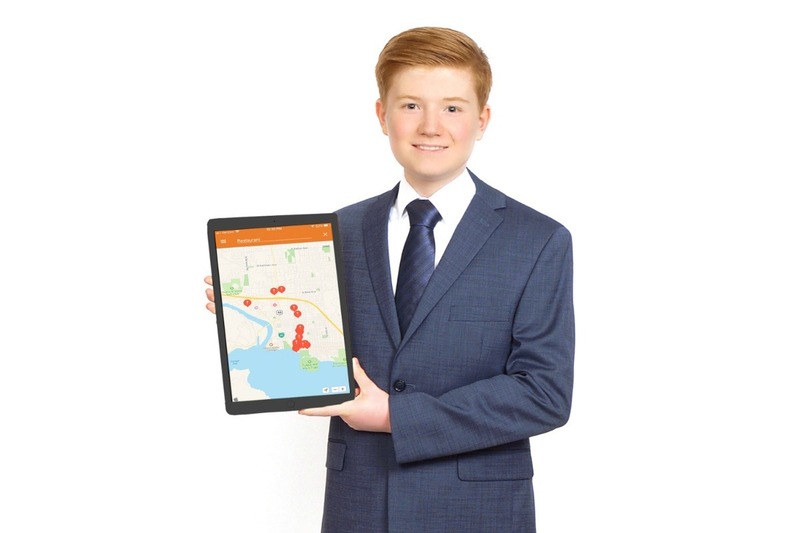 In addition to looking for additional financial support to continue to develop and maintain Ability App, I'm also looking for volunteers to help provide information on accessibility features in their hometowns. These volunteers are called Ability Ambassadors. Becoming an Ability Ambassador is fun and easy. It is a great way to give back to your neighbors within your community. Ambassadors simply note where the disability-friendly features are where they live, work, play and visit. It's fun, free and easy! There's no obligation! Just help, if you can. To Sign Up To Become An Ability Ambassador, Click Here. 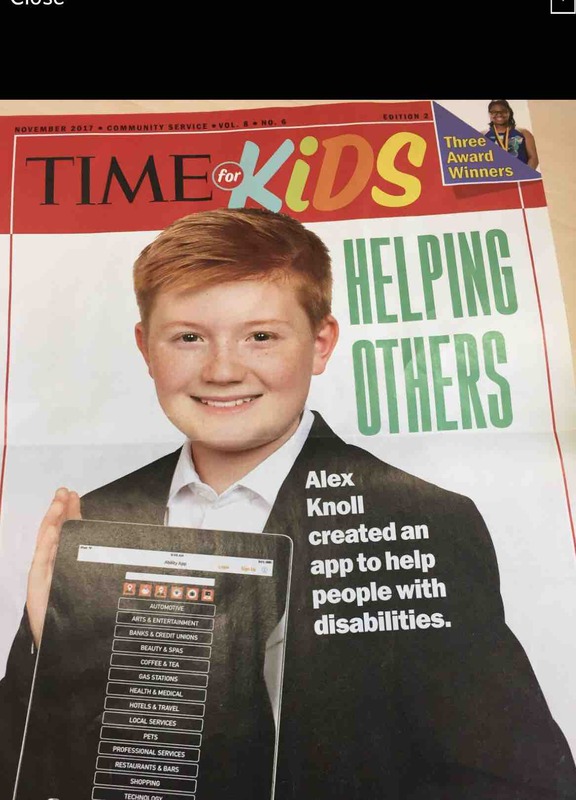 I will continue to work hard and spread the word about developing this app so that it can help people with disabilities. With your support, we can help so many people find employment, services, and facilities that give abilities! Hello Everyone! I'm excited to share with you a sneak peek video of Ability App. I also wanted to give everyone a quick update on where we are today. My team and I are making really great progress! We are reaching new milestones nearly every day. We are entering into the beta testing phase with a small select group of Ability Ambassador volunteers. We will take the feedback that we get from our testers and use it to make the app better. After the testing phase, we will ask our volunteer Ability Ambassadors to start helping us populate data in the app. Once we are confident that the app is ready to send out to the world, we will publish the app in the app store and let everyone know that it is ready to download for use. We anticipate our servers are going to get absolutely swamped with traffic in the first few months. Servers are expensive. So, if you could, share this link far and wide. Ask people to donate even just a couple of dollars to help us keep the servers running in these lean, critical, initial few months. Thanks for liking and most importantly sharing this post. We are closer than ever to making this world more accessible and inclusive for people with disabilities! Please consider donating to Ability App. Hello everyone! I have some very EXCITING NEWS to share! Please click the "share" button on this post to help us spread the word about this life changing resource for people with disabilities, their families and caregivers! 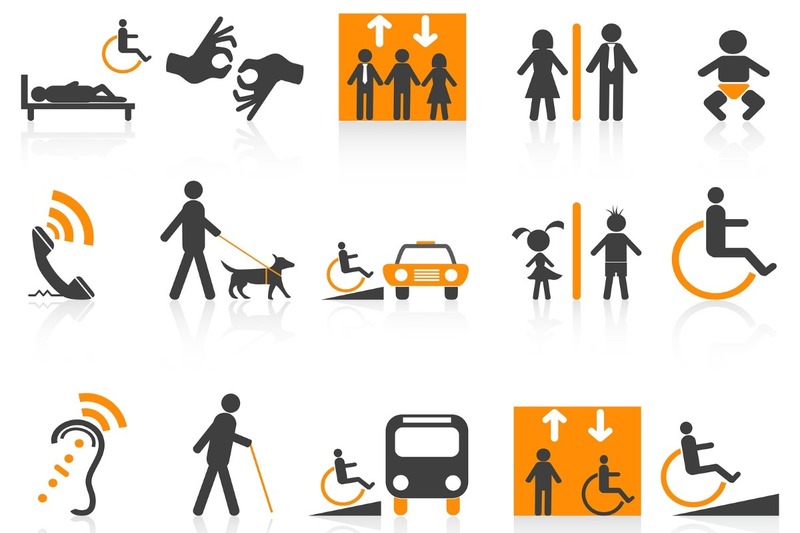 For those of you who are new to Ability App...Ability App will help people with disabilities and their caregivers navigate public spaces. We are currently looking for volunteers we call "Ability Ambassadors." Ability Ambassadors simply note where the disability friendly features are where they live, work, play and visit. It's fun, free and easy! There's no obligation! Just help, if you can. Thank you to everyone at GoFundMe for the generous donation of $1,000 for the development of Ability App! Your donation is greatly appreciated. Also, thank you to all of the kind people who have donated to this campaign. God Bless you for the gift you are giving to the Disability ( Special Abilities ) Community. I hope that Ellen and her staff can assist you with some Grant writing and becoming a 501C. From the bottom of my heart I Thank You for making others lives, such as myself, and several of my family members, so much better. I will never forget the call from my brother years ago, ( he was a quad ), I could hear the happiness through the phone. He had taken a shower for the 1st time in 8 years. The hotel they stayed in had a Roll in shower, and even provided a chair he could use in it. I had over looked the fact that he had not had this simple pleasure, we take for granted since his accident. Your app. Will bring so much comfort and happiness to others. You continue to strive to change the world for the better. You truly are a Angel here on Earth. Look out Kiddo, your work is going to make so many people love you. Good luck. 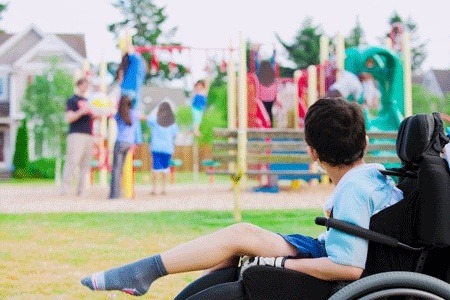 Thank you for looking out for individuals with disabilities. You are talented and sweet young man. I'm sure your family is very proud of you and your compassion for others. Wishing you much success! I'd love for this app to be available in the uk. For anyone wondering why this page is still up after the donation Ellen made, projects like this need lots more investment to develop, expand and keep the service free for those who need it. Alex, I saw you on Ellen and had to find a way to reach you! My Dad has been in a wheelchair for 16 years due to MS. I cannot tell you how many countless hours our family has spent trying to find out if a restaurant or if the places we want to visit on a vacation are handicap accessible. We always want my Dad to be able to experience as much as he can but we are sometimes limited just due to the fact that we are not sure if they are truly handicap accessible. Your app is such a wonderful thing and will help so many people! Thank you for all of your hard work and I cannot wait to see what your future holds, your young mind is such an inspiration. You will do amazing things!! Alex I just saw your story on NBC news and I'm so excited for your idea. I'm sure you have a long list already, but one thing you might add to the app is AED, so people who have heart issues know what establishments and hotels have an AED at their location and trained staff who know how to use them. Keep up the great work!!!!! So Clever boy, i love the idea. I Wishing you much success! Alex, you are powerful my friend! Always happy to see you advance in your Changemaker Journey. Let me know how we can support. I feel like this will make life much better for my son and others! As a woman who taught disabled students for 17 years back in the 1980s and 1990s, I can relate to the plight of people who remain reduced to second class citizens. At this point in time, I have joined their ranks and rely on a roll actor for mobility as walking sticks no longer work. Your programming is vital to so many excluded people in the states and beyond! Given time I am confident your inspiring work will aid children and adults who need it.